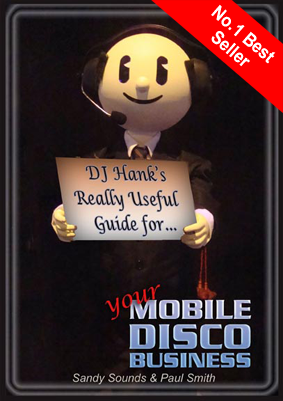 Mobile DJ Infomails - Issue 35 - How Does a Client Choose? How Does a Client Choose Their Mobile Disco? "I searched the internet and short listed to 5 DJs that I contacted. One of the most important things to us is that the DJ plays some of our favourite songs. They all said yes, so I've still got a short list of 5. How on earth do I choose between them?" Thanks to everyone who called to see us at BPM this year - don't forget to check out DJ Hank's video diary (link top right). Did you meet DJ Hank at BPM? The current benefits from AMPdj membership are worth much more than the price of joining!